Everyone has busy mornings where no amount of coffee can make the routine go by faster and those extra five minutes of sleep are too precious to pass up. When you have a full day of work ahead, stress should be the last thing on your mind, and you need a morning routine that serves as a carefree pamper session. Regardless of whether you're pressed for time or have hours to primp and prune, there are numerous ways to ensure the morning routine goes by smoothly. Beauty certainly isn't the most important aspect of a person, but it's natural to want to look and feel one's best. Having a fresh face of makeup can certainly provide the confidence boost you need to tackle the rest of your day, but that doesn't mean you want to spend hours in front of the bathroom mirror. Luckily, these 10 tips will make your morning routine that much easier so you can be out the door and ready for whatever lies ahead. If the thought of having to do a full skin-care routine is daunting when you know you're about to be layering on makeup, vamp up your night routine instead. 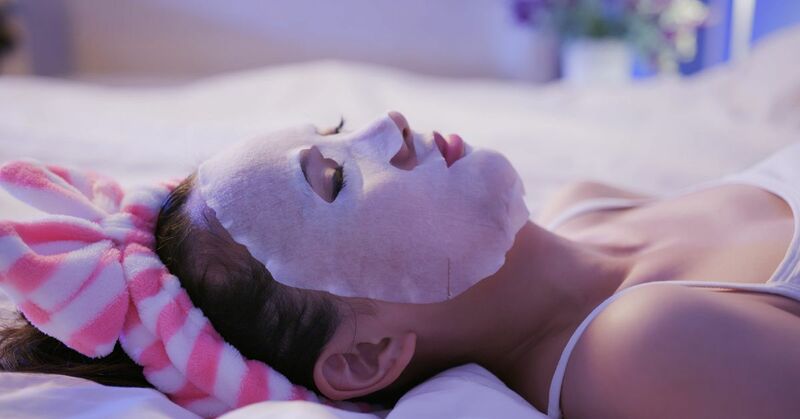 Just like picking out an outfit the night before so as not to have to worry about scrambling around the next day, a hydrating night mask can set your morning routine on the right foot. Not only will you have a soft, smooth surface but hydrating skin overnight will also give your face a pick-me-up in ways morning coffee can't. You may be the type who loves to collecting products and yet you still throw them all together in a makeup bag. Instead of rifling through a jumbled-up mess, desperately searching for a specific shade of lipstick or a favorite mascara, organize makeup so you never have to dump all the products into the sink in frustration. There are many great makeup cases with organizational pockets or you can use storage bins or drawers. Whatever you decide to use, organize products in a way that best serves you whether that's by color, product type or the area it's applied. Not only can some products be used in a variety of ways when you've forgotten to pack something and are in a pinch, but also many are made specifically with functionality in mind, such as tinted moisturizers. Reach for a rosy-tinted cream that will look stunning when swiped over the cheeks, lips and eyes. Using only your fingers and a favorite highlighter is also a great way to brighten up the inner corners of your eyes and make you appear more awake. A contour can certainly make you appear fierce for a girls night out on the town, but for most days, a glowy bronzed look is all you need. Grab a bronzing powder and use a fan brush to sweep color onto your cheekbones, hairline and sides of your nose. This can take no time at all and will instantly give you a sun kissed look and add some much-needed color. Tinted lip balms are a useful product to have in your makeup arsenal and can be easily thrown into a bag to apply on the go. Sometimes lipsticks can be a bit of hassle as you have to use a separate product to moisturize beforehand and applying lipstick can be a struggle to get even lines (not to mention the hassle of avoiding smudging while you eat). When there's nothing you'd rather do than crawl into bed, showering is something you can easily talk yourself into putting off until the next day. When that alarm goes off in the morning, you'll instantly kick yourself for not showering the night before so you can savor that extra sleep. Freshly washed hair is harder to style, so giving it time to settle for the next day will make your routine easier, especially if you braid damp hair for next-day beachy waves. An added bonus: There's no better feeling than putting on fresh PJs and curling into bed after a long hot shower. The makeup game was changed when these handy little tools hit the scene. If you've yet to use a beauty blender, do yourself a favor and pick up one now. They're cheaper than most makeup tools and make blending a breeze. Dampen teh beauty blender with water or a favorite face mist for easier blending and a dewy finish. 8. Put your eyeliner down and go straight for the mascara. If you need a quick makeup look or your eyes are looking a bit tired, skip applying dark eyeliner. Instead, plump up lashes with an eyelash curler and grab a voluminous mascara. Your eyes will brighten up and curling lashes beforehand will help you avoid the need of applying multiple coats of mascara, saving you time and money. The most seasoned of makeup professionals can have days where they struggle with this look. Even on good days, your cat eyes will most likely end up looking more like sisters than twins. Instead of having to clean up and reapply eyeliner, hack your perfect cat-eye with a homemade stencil or apply tape for straight lines. Go through your skin-care and makeup routine first, letting your hair air dry as much as possible. Not only is this better for your hair to avoid the extra heat, but it will be mostly dry by the time you finish your other tasks, meaning less time needed to style your locks.